Featured Bonus Content: Download the FREE 7-Step Complete Audit Checklist for ISO 9001 Certification! You will Discover Everything you need to cover to become an ISO 9001 Certified Organization! Click Here To Download It. You are losing customers to your competitors because you are not ISO certified. No one wants to do business with your company when they can choose one that has a standard quality management system and meets regulatory standards. The bottom line is: your livelihood is at stake. You need ISO 9001 certification and, if you do not get it ASAP, you risk losing everything. The problem is gathering everything you need to get certification into one, tidy place. 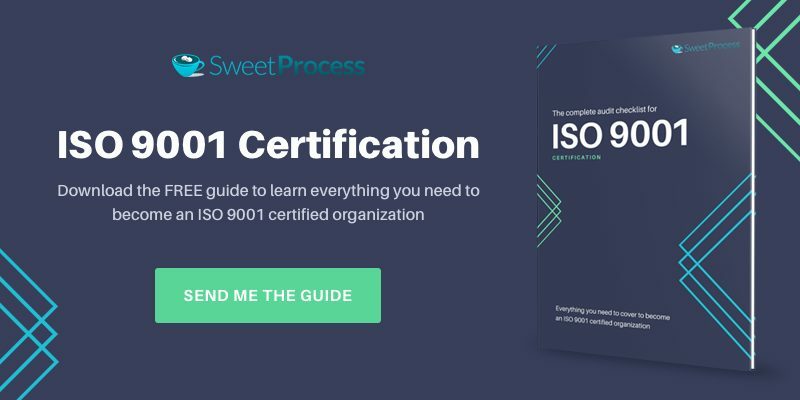 Problem solved: by the time you are done reading this guide, you will be ready to obtain ISO certification and regain your competitive edge. 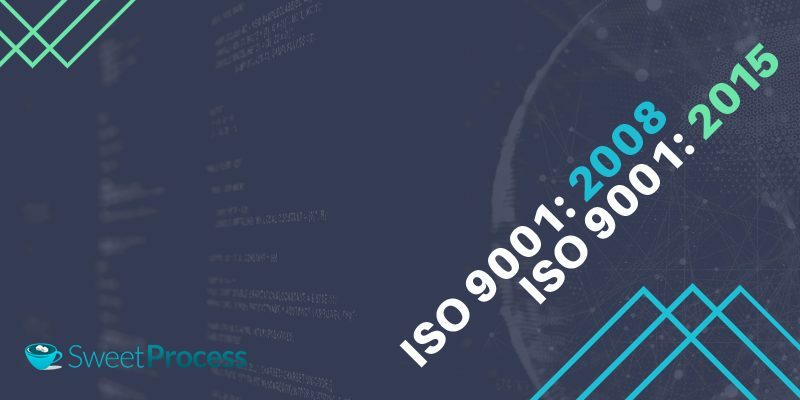 Chapter 2: What is ISO 9001? Chapter 3: Who Needs ISO 9001? Business activities are often executed via processes. You literally connect processes together to get the job done. When they are far apart, it is difficult to separate effective processes from the ineffective ones and you waste time bringing them together to make them useful. Imagine having a system in place that integrates these processes and holds it all together in one tidy package. Imagine the relief when you can replicate reliable procedures that maintain quality standards and measure performance. 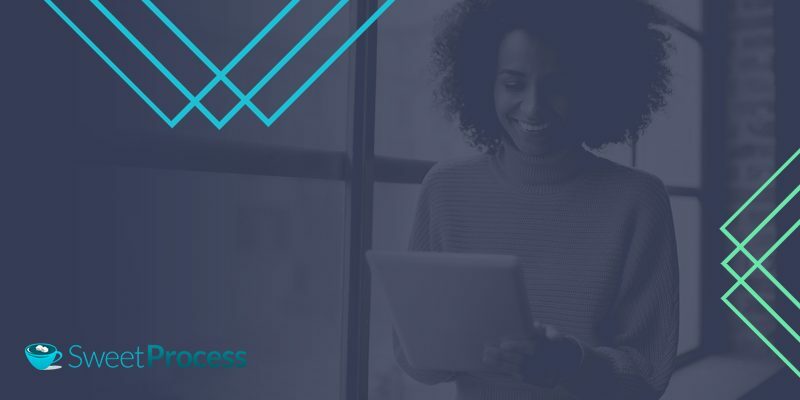 Imagine knowing what works best for your organization and consistently meeting the standards of the the people who have a vested interest in it: your customers. A quality management system (QMS) enables you to streamline business processes, satisfy customers, and adhere to regulatory standards. You are guaranteed to get the same quality results repeatedly as long as you follow the system diligently. 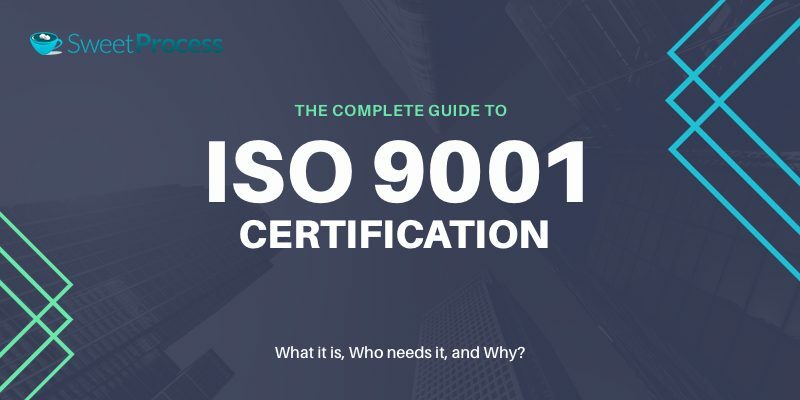 Now that we understand the role of quality management systems, let us take a closer look at ISO 9001 and discover whether it is the right certification for your company. ISO 9001 is the internationally recognized standard for quality management systems. It belongs to the ISO 9000 family – a set of quality management standards. ISO 9001 gives an organization a blueprint to create and maintain high quality standards. It is widely accepted because, regardless of the size of your company, it produces great results. For example, the Kenya Pharma project – a healthcare initiative funded by the U.S. Agency for International Development (USAID) – used ISO 9001 to solidify a drug supply chain to people living with HIV/AIDS in Kenya. The ISO standard is made up of eight sections: scope, normative reference, terms and definitions, quality management system, management responsibility, resource management, product realization, and measurement, analysis and improvement. The certification is highly recommended, but does your organization need it? In the next chapter, we identify organizations that can benefit from ISO 9001 certification. Your customers are always open to the idea of better quality. It doesn’t matter how long they have been loyal to you, if a competitor springs up and offers them more value, they will be happy to change base. Who wouldn’t? At the end of the day, consumers want to know they are buying the best product for the price. 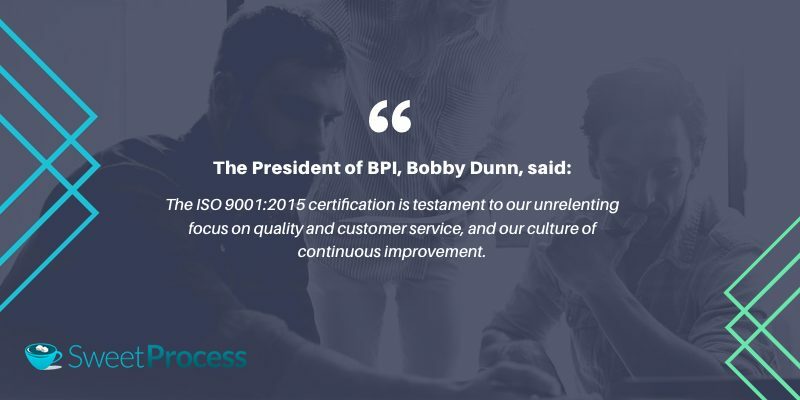 Businesses in certain industries that obtain ISO 9001 certification make a statement to their customers about their commitment to delivering quality on a consistent basis. If your business operates in any of these industries, and you do not have the certification, it may be your undoing. Don’t give your competitors an advantage you can have by obtaining the ISO certification. And even if your industry is not on the list, you can also benefit from learning about it and following its guidelines. What do you stand to gain for going through the hassle to get the certification? In a nutshell, it sends a message that you strive to be trustworthy, efficient and reliable, all things that customers admire and respect. Discover the many ways ISO certification will set your business apart in the next chapter. says ISOQAR CEO Martin Smith, while presenting the ISO 9001 certificate to psychometric assessment company Thomas International. You need all the edge you can get to beat your competitors. As already stated, ISO 9001 is internationally recognized. Having this certification automatically sets you apart from many others. It is a requirement for most reputable organizations when looking for businesses to work with as it gives them the assurance that they are in safe hands. The best way to understand the importance of satisfying your customers is to not satisfy them. In no time, you’ll have none left to satisfy! ISO 9001 helps you to plan ways to constantly put smiles on your customers’ faces. You get to retain old customers and attract new ones through positive reviews. Your employees are just as important as your customers. With a comprehensive workflow system, employees’ jobs are simplified, making it possible for them to accomplish a lot without much hassle. ISO 9001 certification enables you to create a seamless workflow by optimizing processes. This makes it easier for you to examine the effectiveness of the system. You can detect sloppy handoffs, and create smooth segues to save time and increase productivity. In 2017, management of Abu Dhabi Ports obtained ISO 9001:2015 certification to optimize their operations. Making business decisions with good judgement is far more likely to result in positive outcomes. Risk management is one of the core mandates of ISO 9001:2015 certification. With performance records at your disposal, you can safeguard your business by making well-informed decisions to avert associated risks. Successful businesses understand that improvement is a journey. Today’s effective processes may be ineffective tomorrow. No matter how good a thing is, there is always room for improvement. Simply put, you get to make more money. Who doesn’t want that? 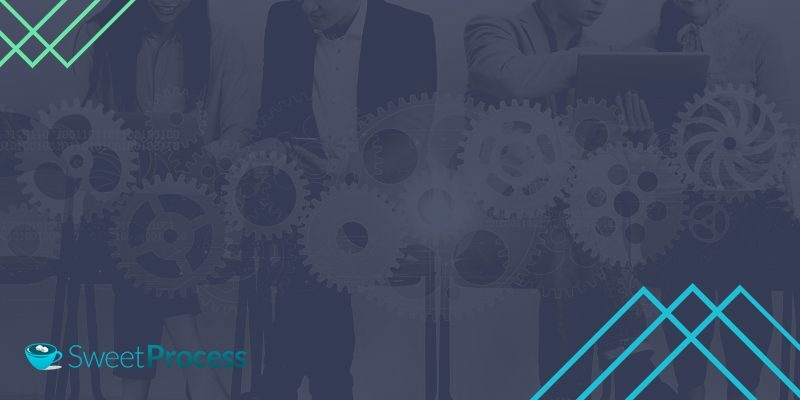 Rather than waste time on difficult processes, it simplifies your business processes and enables you to accomplish more in the shortest time possible. As a result of obtaining certification for ISO 9001, engineering firm TOMAL is able to deliver high-quality goods and services on time. You no longer have to spend resources on recurring problems. Fix those nasty snags permanently to enjoy smooth operations. 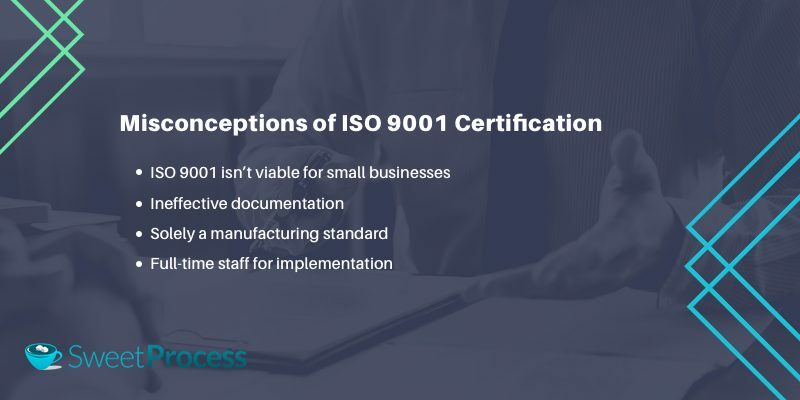 In the next chapter, we’ll address common misconceptions people make about ISO certification. Get clear on these so you can make an informed decision. There is the misconception that small businesses do not have the capacity to pass the certification process. ISO 9001 is not about size but efficiency. Its flexibility allows it to cater to both big and small businesses. With good management, a small business can operate smoothly and maintain high-quality standards. Think about the edge this certification can give you in the face of competition. Another misconception is that documentation for the certification is a one-size-fits-all process, and may not suit particular business needs. This is far-fetched. ISO experts will work closely with you to create bespoke documentation for your processes in line with ISO standards for the certification. In addition to that, you do not have to do tons of paperwork. The ISO template is simplified to get the main details sorted. ISO 9001 is often referred to as a manufacturing standard. It is not. Businesses in other sectors – such as Richard Branson’s Virgin Atlantic Airlines – have been successful with it. As stated earlier, there are different versions of ISO 9001 designed for different industries based on their needs. There is also the misconception that an organization needs to employ a full-time employee to carry out the certification process. Nowadays, there are many consultants from accredited agencies who offer their services. You do not need to go through the hassle of setting up a compliance department as you can bring in consultants to implement the certification. Contact your local accreditation organization for recommendations. The standard is not a one-off process. In-house staff may not be abreast of the latest developments to update the system when the need arises. Consultants are more experienced and are up-to-date with everything. With all of these benefits up for grabs, obtaining the certification makes a lot of sense. So, how exactly do you make it happen? The next chapter outlines the steps involved. In a lawless society, lives and properties are endangered. The same applies in business. If there’s no standard to regulate business operations, there will be a disaster, especially where people entrust their lives, money, and resources into the hands of business organizations to meet their needs. The certification protects the public from falling into the hands of harmful business operators. In the automotive industry, for example, cars produced in line with ISO standards are more durable and safer to drive. A. Familiarize yourself with the implementation process. Gather materials on ISO 9001 certification, and read as much as you can. B. Appoint a management representative. Think of your representative as the captain to control your ISO 9001 ship. He/she should be a top official who has authority to coordinate other employees. Pick a representative from each site to implement the changes at their respective sites, if your organization has more than one physical office. Ensure that selected representatives are well grounded in ISO 9001 certification. Train them to acquire necessary knowledge and skills. Training options include self-study, coaching, on-the-job training, and formal training. Stick by your employees and encourage them to get the most out of the certification process. Seek the support of upper management who play key roles in your operations. Think of them as lieutenants on the ship. If they are not in on it, their reluctance will affect the performance of their subordinates. Inform top management about the importance of ISO 9001 certification. Seek the support of employees. They may be compelled to do as told, but if they aren’t genuinely supportive, productivity decreases. Set a timeline to accomplish the task. Stick to set timelineto avoid unnecessary delays. Documentation is often considered the most difficult stage of ISO 9001 certification due to the technical requirements. Intricate details are cumbersome to put together and a single error can affect the efficiency of the entire system. We have broken down the steps for you. If you follow them, you will be surprised at how simple doing this can be. Developing these documents is very important. They have to meet the ISO 9001:2005 documentation requirements, otherwise, they won’t be valid. Tailor your documentation to the needs of your organization. Make use of customized templates to simplify the process. Don’t be in a hurry to get it over with. Understand what is required before execution. Start with the Document Control section for better results. Inform representatives about the requirements and procedures for effective document control. Ensure that each step is executed well before moving on to the next. Ask employees to write instructions for the tasks they execute from their own experience. Task employees to think of better ways they can execute such tasks. Collect documents and rewrite them using action language. Review documents to ensure that they are in line with ISO 9001 requirements. It is advisable to do an internal audit in preparation for your ISO 9001 certification. An internal audit helps you to spot oversights that could mean failure, and saves you time in reapplying for an external audit. It is performed by the representative you selected for training in the preparation stage. Run the system in line with your newly-developed standard operating procedures. Pay close attention to detect irregularities. Troubleshoot problems detected to find the cause. Fixed each problem and test again for efficiency. Measure the accuracy of repeated procedures to determine quality maintenance. When you are satisfied with results from your internal audit, have it examined by an external auditor. ISO 9001:2008 and ISO 9001:2015 are recurring terms in discussions about ISO 9001 certification. But for the different years, they seem the same. Are they mutually exclusive? Do you need both? In the next chapter, you will learn what they are, their differences, and which of them you need in your business. When you surf the internet for information about the ISO 9001 certification, you find these two variations: ISO 9001:2008 and ISO 9001:2015. It gets confusing for a newbie. Let us break it down. The International Organization for Standardization (ISO) is currently used in 160 countries. The first ISO 9001 was published in 1987. Over the years, the system has evolved. ISO 9001:2008 was the main quality management system until September 2015 when a review spawned the more effective ISO 9001:2015. Organizations were given three years to transition to the 2015 quality management systems. 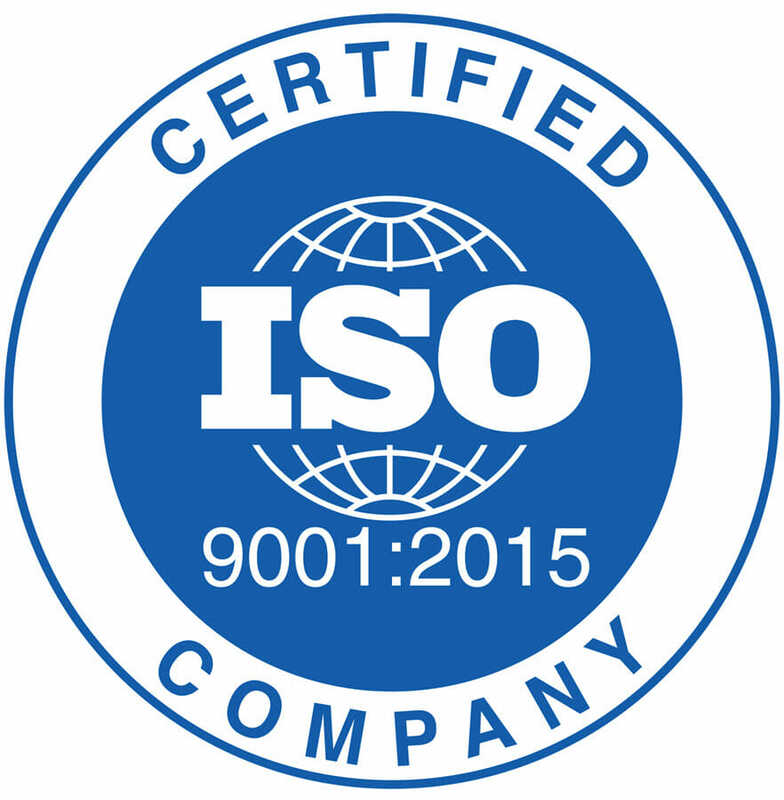 ISO 9001:2008 became invalid as of September 15, 2018. If you have yet to obtain the certification, what you need is ISO 9001:2015. You can safely ignore all information specific to ISO 9001:2008. Are you one of those still stuck with ISO 9001:2008? Although the deadline has lapsed, you still have the opportunity to transition to ISO 9001:2015, and retain the benefits of course. Find out how, in the next chapter..
Less prescriptive: It focuses more on processes than documented procedures. Increased prominence on risk-based thinking: It follows the ‘Plan-Do-Check-Act’ principle of manufacturing. High level structure: It follows the same overall structure as other ISO management standards, making it easier to integrate with other management systems. On December 31, 2015, the airport became the first Algerian company and the first airport in Africa to obtain ISO 9001:2015 certification. “We were looking to enhance our employees’ professional skills and strengthen our brand image. We were determined to become trailblazers,” Bouakel added. Are you anxious about transitioning? Follow these steps for a seamless process. Evaluate your organization to identify influencing factors. Determine the degree those have on your business goals, objectives, culture, customers, and flow of processes. Identify all participants in the QMS process and the roles they play. Parties include employees, management, contractors, and third parties you work with. Summarize workings of your current system. Measure level of efficiency in terms of operations. Outline the strengths and weaknesses. Identify reasons for the weaknesses, and strive to strengthen them. Bring top management on board. Communicate quality policies with them and seek their contributions. Ensure their support and they will promote quality through the ranks. Draft QMS objectives in line with company goals and objectives. Compare QMS objectives with the strategic positioning of your business to ensure they line up. Identify possible risks in your business. Create practical ways to address both the risks and the opportunities. Get rid of irrelevant information. Align old procedures to the new clause numbers. Make needed documents available and accessible. Arrange them neatly and keep them in safe space. Aim to have better control of your operations. Create operating criteria, and ensure that they are fully implemented. Assign operational duties to skilled employees, and hold them accountable for performance. Add more details to the design and development process. List responsibilities, inputs, outputs, and changes required. Authorize the trained internal auditor to review changes made. Identify items that need to be monitored, mode of monitoring, and frequency. Pay close attention to performance results in order to measure the efficiency of your quality management system. ISO 9001 certification is valid only when issued by an authorized body. It would be terrible if you went through all the trouble to obtain certification from an unauthorized agency. Ignorance is not an excuse: find out how to avoid such a huge mistake in the next chapter. Your ISO 9001 certification is valid only when it’s done by a certified Registrar. As mentioned above, there are agencies claiming to provide the certification that lack proper accreditation. The international accreditation body is the International Accreditation Forum (IAF). There are members of the IAF in different countries certified to accredit Registrars for ISO 9001. While the United Kingdom Accreditation Service (UKAS) is the accreditation body in the UK, there are a number of accreditation bodies in the U.S. such as the American National Standards Institute (ANSI), American Society for Quality National Accreditation Board (ANAB), American Association for Laboratory Accreditation (A2LA) and International Accreditation Service, Inc. (IAS). Verify from the official bodies that the registrar, i.e the external auditor, is registered with them. ISO 9001 certification is not a one-off, especially as business operations and technologies are constantly evolving. Your quality management system has to be up-to-date with international standards, otherwise, it becomes obsolete. Keep in touch with your registrar. They will send an auditor to your organization once or twice a year to perform a surveillance audit. Just like the certification stage, the auditor will examine your business processes in line with ISO 9001 requirements. If any problem is identified, it’ll be brought to your notice for rectification. Meanwhile, your internal auditor should evaluate your system more often to ensure that everything is perfect. ISO 9001 certification positions your business as an authority. You meet all regulatory standards, offer great products and services to the satisfaction of your clients, and position yourself for better revenue generation. As you read this, your competitors are devising ways to make you irrelevant in your industry. It might seem “wicked,” but like they say, all is fair in war. Business is war. If you do not guard your territory, your competitors will be happy to displace you. But worry not. With your ISO 9001 certification, you will have one of the best tools for success. As part of our commitment to take you through your ISO 9001 certification journey, we have put together a free content upgrade titled “Internal Audit Checklist for ISO 9001 certification” for download.